As we plunge into the business end of the Champions League, there are some intriguing and highly anticipated round-of-16 matchups along with a few that inevitably slip under the radar. 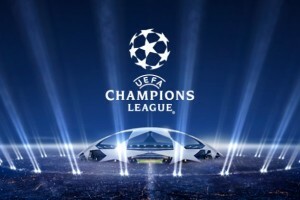 Profiling the remaining teams, we’ve spared no expense in offering our Champions League predictions with our betting odds and soccer tips of the day tossed in to boot. Without further ado, here’s our predictions for the 16 remaining Champions League teams, which are in order from least to most favored by Bovada sportsbook. 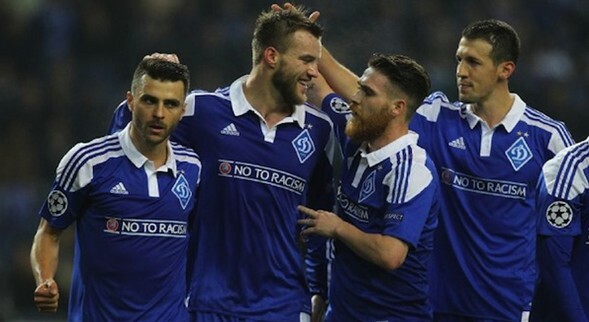 Dynamo Kiev is one of the most heralded Ukrainian football clubs and has its eyes set on a quarterfinal Champions League berth. But with Manchester City in standing in their way, they’ll have to wait at least another year before returning to the quarterfinal of Europe’s premier club competition. Dynamo Kiev may squeak out a draw from the home tie, but won’t be able to overcome the enormity of the task awaiting them at Manchester’s Etihad Stadium. 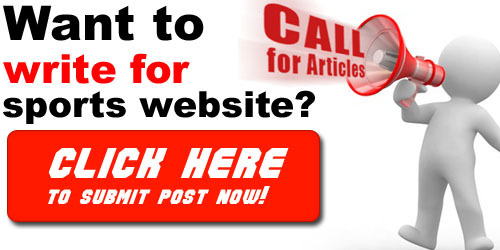 Click on the link to have a look at the round of 16 matches, Champions League standings, up-to-date odds, and learn how to bet on the Champions League. KAA Gent offers Belgium its first taste of knockout stage Champions League action in 15 years. And the Belgium champions, playing a mediocre Wolfsburg squad, will never get a better chance to qualify for the quarterfinals. Wolfsburg, however, still has too much experience for Gent and will dash the Champions League minnows’ dream of advancing. PSV Eindhoven is a solid Dutch team, their round-of-16 qualification each season rarely in doubt. 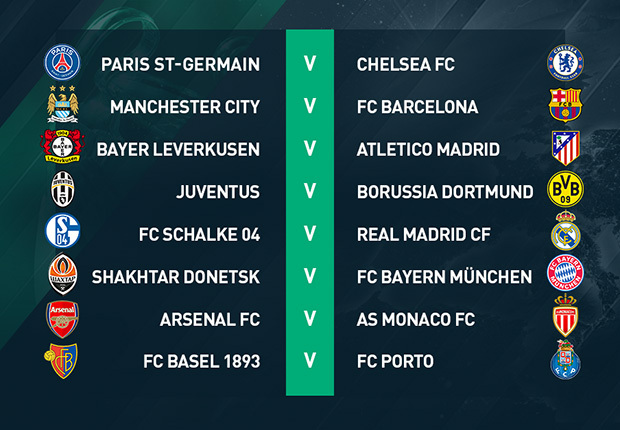 The knockout stage, though, is sure to ask the Dutch champions questions they will unlikely be able to answer. Atletico Madrid is in very good form and too disciplined for PSV. The tie will be tightly contested, though invariably PSV will be sent packing. The perennial Portuguese powerhouse will have their work cut out for them against Zenit St Petersburg, a two-leg tie that promises to be a tale of home performances. If Benfica can perform well in Russia and keep it tight at the back, they’re in with a good chance of advancing to the quarterfinal. This one is a toss up but we predict Benfica will be ousted in agonizing fashion, on the away goals rule. Roma, currently sitting in 5th place in Serie A – three points out of 5th – have drawn the short end of the stick in the Champions League. They’ll be turned over by an injury-riddled Real Madrid team and ousted from the competition. We all know that Zenit St Petersburg has no chance of winning the Champions League. Having said that, the Russian champions might just have enough to struggle by Benfica in the next round. There isn’t a team in Europe who enjoys traveling to Russia in the dead of winter and this is especially true for a fair-weathered Portuguese side. Zenit’s dream will then come to a crashing quarterfinal halt. Wolfsburg – sitting in 8th place in the Bundesliga – is having many difficult days at the office during the current campaign. Having lost as many as they’ve won, it’s no surprise we have them going out at the quarterfinal stage. Had they drawn anyone barring Gent in the next round, they’d be exiting the Champions League even earlier than projected. Alex Oxlade-Chamberlain has a question everyone wants to know the answer to. Will Arsene Wenger ever again challenge for European football supremacy with Arsenal? Definitely not this year! Too liable and porous in defense and devoid of any guile in midfield, Arsenal won’t pose any imminent or discerning threat to Barcelona in the round of 16. The team from Turin is on one of the hottest streaks in Europe having won 12 in a row and 17 of the last 18 matches. Juventus’ last defeat happened to come in the Champions league, a 1-0 meaningless setback to Sevilla. 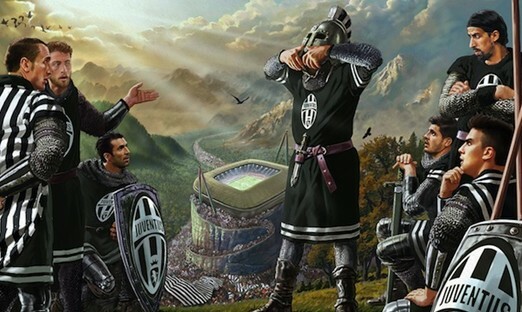 Unfortunately the football Gods weren’t shining on Juve when they drew Bayern Munich. Look for Juventus to get to the semi-finals if they can upset Bayern. At +2500, it could be worth putting some money down on the Italian Champions, as they deserve more than their status as 8th favorites. Still, we see them perishing, albeit marginally, to the German giants. Even though anything can happen in a two-leg aggregate, Chelsea’s uninspired team performances, along with an ageing defense and an incomprehensible ineptitude to score, will lead to their premature round-of-16 demise against a superior PSG outfit. Atletico Madrid has been nothing short of inspirational under Diego Simeone’s tutelage and direction. Organisationally sound, defensively stingy and extremely disciplined, Atletico is once again challenging at the top of the Primera Division. Atletico will win a tight, defensive matchup against PSV Eindhoven but will be edged out in the quarterfinals. PSG will this year just pip the Spanish club for the last available semi-final berth. Utterly dominant in Ligue 1, PSG can now concentrate solely on their all-important Champions League campaign. While their round-of-16 matchup against Chelsea can prove tricky, we believe they’ll have too much for an ageing Chelsea defense. PSG signifies the best chance for a team outside of England, Italy, Germany or Spain to win the Champions League since 2004, when FC Porto accomplished the feat. Unfortunately, they’ll come up against the likes of Barcelona, Real Madrid or Bayern Munich in the semi-final and those encounters usually end in despair for the French champions. Manchester City is nowhere near where it needs to be to compete for European glory. Maybe next season’s introduction of Pep Guardiola will provide the platform to propel the English club to future European glory. 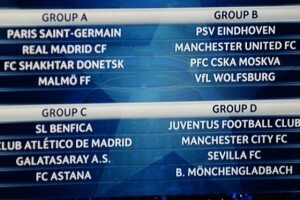 They should get by Dynamo Kiev in the round of 16 but that’s as far as it will go for the current City edition. Real Madrid FC, like so many seasons before, have the credence, pedigree, experience and depth needed to win Europe’s Holy Grail. What sets them apart this season, though, is an intangible asset who goes by the name of Zezu. Zinedine Zidane was appointed as Real Madrid manager in January and his affect on the squad has been immediate. While untested and untried as a manager at this level, Zezu gets the most out of his players both on and off the field. He’s lionized and respected and injects the kind of motivation, inspiration and team spirit, even if just temporarily, required to push the Galacticos over the top. Real Madrid, provided their best players avoid the long-term injury bug, will, for the 11th time, be crowned champions of Europe. It will be a fitting way to end the season for the world’s richest football club. Eight points clear at the top, the German giants are once again running away with the Bundesliga. Which is bad news for their Champions League counterparts as they can focus their attention squarely on Europe. Robert Lewandowski and Thomas Muller have combined for 50 goals this campaign, 12 of which coming in the Champions League. Bovada has them pegged as second favourites, but we think they’ll be knocked out in the semi-final, falling just shy of short of their European aspirations. Bovada has Barcelona FC pegged as favorites at +240 for many reasons, three of which are seen above celebrating yet again. The triumvirate of Neymar, Messi and Suarez score more than Silvio Berlusconi at his behind-closed-door gatherings. Thus far during the 2015-2016 campaign, the unstoppable trio have scored 71 goals in 81 games. However, Barcelona will fall at the final hurdle and lose in the Champions League final to their Spanish rivals.